Whether it’s as a birthday treat, a token of love or simply a way of showing you care, one of the most popular gifts is undoubtedly a bottle of fragrance. It’s the little extravagance we often can’t justify buying ourselves, but a beautiful bottle and morning moment of luxury is a welcome gift amidst the usual slippers and chocolates; every time they dab the scent onto their neck they’ll think of the person that presented it to them, meaning it provides a lasting memory and connection that can be cherished. Although theoretically that sounds great, stepping onto the perfume halls may fill you with a sense of dread – there’s every chance you’ll become so overwhelmed with choice that you’ll get it wrong and leave your loved one feeling disappointed. Although the counter staff can offer assistance, you’re the only person that can make that final choice – but how can you ensure that choice is one that will evoke a feeling of pure joy? Well fear not, because if you ask yourself the following five questions before making that purchase you simply can’t fail. Promise. CAN YOU DESCRIBE THE PERSON IN FIVE WORDS? Are they shy or confident, flirty or subtle, adventurous or safe? By thinking about their character traits it’s easier to match them with the traits of a fragrance; the marketing isn’t just there to create desire, but to allow customers to project themselves onto the qualities which make up the overall perfume personality. If they’re introverted and understated, there’s little point in buying them something overwhelmingly strong. Do they follow fashion, keep things classic or prefer to just wear what’s comfy? Like the fashion industry, the perfume industry follows trends and includes elements that are perceived to be timely. If your loved one is all about the high fashion they may appreciate something revolutionary and new, whereas if they prefer to stick to what they know they may prefer a more classic and timeless scent. DO THEY HAVE ANY HOBBIES OR INTERESTS? Are they interested in scuba diving or they more at home with a good book? Often their passion points and hobbies will provide great insight into the types of fragrance they’d like to wear – whether that’s the scent of fresh water, the musky fragrances of vintage books or something that reminds them of horse riding amidst the morning dew. Sounds silly, but it works. WHAT OTHER FRAGRANCES DO THEY USUALLY WEAR? Do they have any long-term favourites or scents you know they’ve chosen for themselves? If you can get away with having a look (or even better, having a smell!) then this will equip you with a benchmark from which to work. We tend to like fragrances from the same ‘families’ (by which we mean they’re formulated with the same type of base notes,) so this information will enable the perfume assistant to pick out similar qualities that are sure to be adored as much as their current scent. WHEN DO THEY WEAR FRAGRANCE? Are they likely to douse themselves in scent every morning, or do they prefer to just spritz on a little for a special occasion? Believe it or not, this has a big impact on the way in which you will choose your gift. If they like to apply fragrance throughout the day, then a lighter and fresher cologne may be appreciated; on the flip side, if they prefer to only wear perfume in the evening then a heavier and sexier scent may be more up their street. Pay attention to their fragrance habits and use them to make an informed decision. The next time you choose to buy a loved one a new scent, make sure you ask yourself these key questions and see if it can make the end decision even more successful. Do you have any other top tips of how to pick out a fragrance for a loved one? I think fragrance is a very personal thing and it's actually quite difficult to predict what a person might like. For instance, I'm quite introverted and wear quite simple clothes, and so people buy me ozonic, clean smelling perfumes. However, I hate those and instead love warm, woody or gourmand perfumes with a twist. 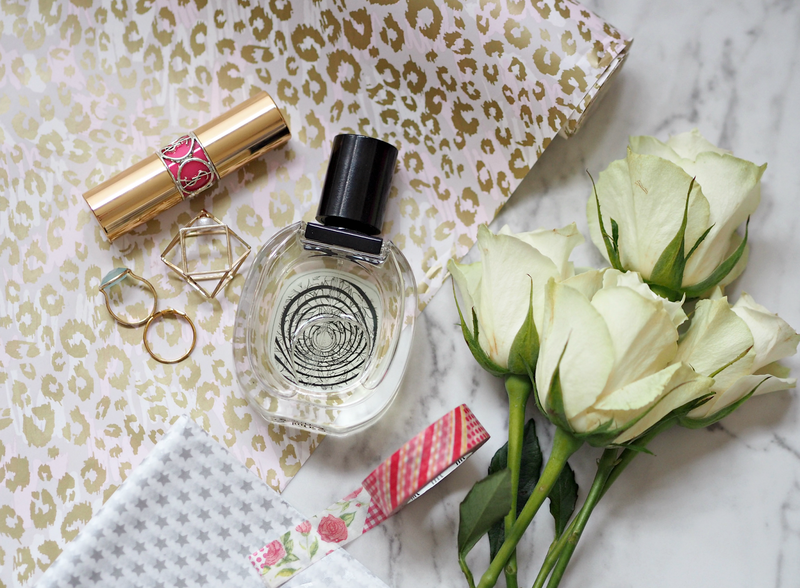 I have a sporty friend who you'd also think would suit clean perfumes but she loves florals. The best thing to do is ask! I don't think I could ever buy a perfume for someone. It's a very personalized decision and I just know I'd screw it up! It's always risky, but I think you'd be better than you think!